New Boeing Aircraft Landing Gear Up - DOWN Lever. P/N 65-1754-7. 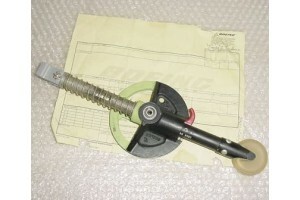 New / nos, Boeing Aircraft Landing Gear Up - DOWN Lever Assembly. P/N 65-1754-7. Traceability paperwork: Boeing C of C and Fedex Material Disposition Document.